Dunbar breaks the regime down into two phases. First teach the pup to inhibit the force of its bite, and then, teach the pup to decrease the frequency of its mouthing. 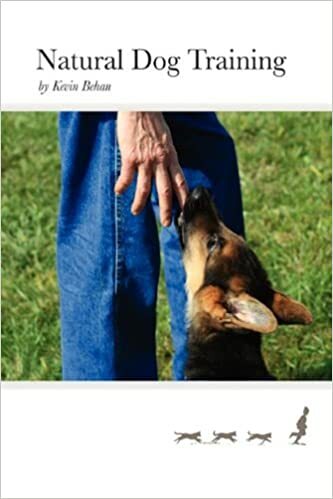 He encourages an owner to rough house with their dog, without a toy, and then gradually lower the point at which they fake pain at the jaws of their “little bully.” It is expected that gradually the pup will begin to calibrate the pain thresholds of our soft-skinned and weak-kneed species. Before I object to this in terms of my model for the animal mind, let us first consider an amazing feat of self-restraint from the sports world. A major league hitter steps up to the plate, steroid-addled muscles bulging in the desire to smash the ball hard enough to rip its hide off. But during the course of the game it becomes necessary to advance a base runner into scoring position. So rather than swing as hard as possible, against everything this man has yearned for since he began his baseball career many years earlier in Little League, with just a nick of the bat he lays down a pathetic little dribble that hopefully won’t carry very far as he tries, usually in vein, to outrace the throw to first. What kind of training could have possibly prepared this player for the ultimate act of sacrifice on a baseball diamond? Surely to achieve such self-restraint, bunting must have been one of the very first things ingrained into a ball player when they start out in the game. Yet when my kids, like all other kids in America, were introduced to recreational softball back in the pee wee days, it began with what is called “Tee Ball.” A big, fat juicy ball is placed on top of a two foot tall rubber Tee and it sits there, just waiting to be smacked. Even if the child misses the ball, the bat will hit the Tee and put the ball in play and the crowd will scream and cheer. In other words, before any rules, regs and the finer points of the game of baseball are addressed, all that matters is the foundational imprint of what it feels like to make full, hard contact with the ball. This imprint never changes, from the sandlot to a major league stadium, the harder you hit the ball, the louder the crowd roars. This imprint sustains every act of learning thereafter and we should take stock of how effective it is. The best major league hitters are going to get a hit only one out of three at bats. Most often they strike, fly or ground out. And even when they get a hit, only a minority of these are going to be a satisfyingly full square crushing of the ball. And when the game warrants it, the batter will lay down his bat for the good of the team because this has become part of the flow of the game he has grown to love. In the eighties I attended a Dunbar seminar and the topic turned to police dogs. He suggested that rather than a dog biting a fleeing felon, it should be trained to knock him down instead. And when searching a building, a dog should be trained to return to its handler at the point of entry and bark once if it found an unarmed intruder, twice if the intruder was armed. This is when I first grasped that modern science sees the dog as a learning machine rather than as an emotional being. Dunbar didn’t understand that the one and only reason a police dog chases criminals and searches buildings, no-matter-what, is because of the drive to bite. And this it turns out is also the reason why one can train a police dog in “minimal force” (i.e hold criminal at bay without biting) because this too can become part of the flow of the hunt the dog can grow to love. If you are finding yourself needing to teach your puppy bite inhibition, you’re already on the wrong path. Teaching a puppy not to bite is like putting a stopper in a flask of fermenting solution. The pressure will only build. Nine out of ten dogs are not likely to bite no matter how they are developed, but they all will develop some kind of a kink or quirk that will for the rest of their lives afflict their capacity to learn efficiently. And one out of ten that are predisposed to bite, will as adults become emotionally unstable and prone to serious aggression later in life. So don’t teach your pup not to bite, teach him what to bite, when to bite, how to bite, where to bite and WHY to bite (because you want him to). In this way your dog will learn to be as confident as a major league ball player willing to lay down a bunt for the good of the team. Consciousness is a cycle wherein the individual projects emotion outward onto objects of attraction, i.e. puts out a “ping,” and then this is returned as a either a ping (predatory aspect) or a pong (preyful essence). In this feedback loop, the proverbial “stream,” the jaws are a faculty of apprehension, a dog feels what it is attracted to in its jaws, just as we can tell at a distance how something will feel in our hands. If the dog feels grounded in the object of attraction, emotion then radiates from the jaws and diffuses through the whole body so that it becomes compartmentalized into erogenous zones which informs the dog how to connect with what it’s attracted to, without biting, sometimes just by being there, no jumping, no nothing, just feeling in the flow of the other being’s presence. A dog will no more bite this other being than it will bite itself. The dog’s sense of its self now incorporates this other being. This faculty of discrimination that feels what another feels and sensually organizes the body/mind to complement it so that a raw response becomes a refined one, is Temperament. It calibrates the individual to the sensitivity thresholds of what it is attracted to so that it can automatically gage its responses accordingly. Whereas if a puppy is put into a situation that is too intense for its developing temperament, it will get stuck in the prey instinct load/overload syndrome wherein millions of years of evolved instinct is commanding the pup to grab something with its mouth as it doesn’t feel in the flow. It has to get grab something with its jaws in order to keep its grip on reality. Needless to say one shouldn’t put a puppy into this kind of situation. We do not need to teach a dog how to get along in our world by not biting. We need to develop its temperament. If you are teaching your puppy not to bite, you are doing something wrong. The last part of the post makes it sound like any time a puppy bites, it’s in overload. If that’s the case, then puppies must be in overload 99% of the time! I suppose it depends on the definition of a “bite”, but isn’t it quite natural and normal for a puppy to explore the world with its mouth? There is a quote I remember reading but cannot remember the source (might’ve been you or LCK), but it was “A dog that was allowed to bite a lot as a puppy has the softest jaws as an adult” or something to that effect. From what I’ve seen that rings absolutely true. I don’t know if you remember but Nelly was quite the hand biter when I first took her to your place — petting her would sometimes easily spill over into a bite fest. From that time on, I roughhoused with her without a toy, let her bite me as much as she wanted, and never ever corrected her for it. I never taught her NOT to bite me, and it seemed to simply subside after 3-4 months of doing that. Now if she gets an urge to bite, she grabs a toy as a midpoint for us to play around even though I never explicitly taught her to do that. I think the bite inhibition craze has much to do with a judgment against what a dog really is — a predatory, emotional animal. No doubt it’s also because biting isn’t exactly comfortable, but I believe at the core it’s a desire for their dog to suppress, inhibit, and control their emotions and this stems from the owner wanting to do the same with his/her own emotions that have been judged to be “bad” or “negative”. I think once the desire of control and suppression is abandoned, the problem biting tends to resolve very quickly. Whenever an owner sees the need to correct their pup for biting, then the pup is in overload. The innocent oral impulse of exploration in a young pup isn’t intense, it’s easily deflected and so this isn’t an overload. But when there’s noises that signal the beginning of a growl like vibration, that “look” in the eye, these derive from having been overloaded and this is putting the pup into situations its temperament isn’t ready for yet. You’re right as well, our dogs aren’t “little bullies” they’re predators sorting out the pings from the pongs. We play with our puppy and let her mouth our hands, and she gets that part, she is 10 weeks old. But she gets really excited at night and plays by attacking our legs, feet, arms and back with harder bites that can draw blood. She gets grabbed up and put in a time out pen for a couple minutes. She only gets worse if you yelp when she is in attack mode. I know this is normal with other puppies but how do we stop it in a gentle manner? My experience has been that using a baby gate or crate is very helpful in order to keep the dog from getting into “trouble”. I also stopped playing with the dog in any way while we are inside. Those two things were a big help. The dog is not stimulated to bite because the puppy is in the crate or separated from you by the baby gate. The crate is in our basement so it is the quietest place that we have. I now try to have her in the crate before a situation arises that will cause her to want to bite things inside. Hopefully that helps. Martin is exactly right. If one is reacting to a puppy biting them, then they are already well behind the eight ball. Do not put the pup into situations that stimulate him to bite, it’s that simple. Just as we puppy proof a house, we have to puppy proof ourselves. No attention indoors, no excited greetings, he can carry around a toy indoors or have chew toy on his mat, but mostly long quiet walks outdoors with gentle massage sessions outside will allow the oral urge to evolve into a whole body state of sensual resonance. This process of EVOLUTION (oral urge evolving into social graces) is a function of emotional development, not the teaching of manners/lessons/rules and regs. If you’re training your puppy not to bite you’re doing it wrong. Watched some episodes of tv show “Alpha Dogs”, many of which boil down to: “the harder a (in this case, working K9) dog bites while in drive (i.e., working) the gentler, cooler she is otherwise. I experienced this when i talked to an officer who was patrolling a convention floor with his dog. “I know you’re working, but can i meet your dog?” “Sure.” I turn to the dog who, up till now has seemed uninterested in me, and he immediately rolls over, paws up, for a belly rub. This guy had teeth the size of dinner plates. Nice. I will have to revise my article to make the point clearer that a dog doesn’t outgrow the oral urge, rather, and if carefully nurtured, it goes on to evolve into a whole body sensuality, and this is the capacity that enables a dog to outgrow, not only its need to bite when excited, but to jump up and any number of problems. That “look in the eye” seen in too many dogs reflects an impasse registering in the oral urge so that the dog’s emotional energy can’t diffuse into a generalized state of sensuality. So teaching a pup not to bite is like putting a stopper in a flask of fermenting solution. The pressure grows. Some dogs, perhaps the majority, flat line and go around in a mope, but very many eventually hit the overload point and either explode or implode. This is a big source of the rise in aggression and phobias in the modern dog. Hoping to get some expansion on what constitutes productive mouthing. You recommend allowing a dog to mouth you when they’re calm, but what about in play? Specifically if the dog prefers your hand/arm over a toy, and doesn’t yet bite hard in tug. Should you allow it when he’s stimulated (provided it’s not painful) so he learns to modulate his bite? And might you gradually increase stimulus so that he learns to maintain a soft bite (supple mouth?) when feeling increased energy? You’ve said elsewhere not to use arm as bite object because the object needs to be “objectifiable”, so should the bite when stimulated be restricted to a toy? If it is allowed, will this cause unwanted mouthing of other people? Or interfere with his ability to bite hard on a toy? If he’d much rather mouth you than a toy when stimulated, is this problematic or just a temporary stage on the way to a harder bite with the toy? I guess I’m trying to understand the delineation in a dog’s mind between the soft bite of mouthing and the hard bite on a toy. A dog or pup should always prefer the toy over the hand in play, if not, then it is responding to the pressure in the moment, and attributing this to the eyes of the owner, as opposed to the pure pleasure of the moment which would automatically deflect his attention onto the toy. So there’s either been too much correction (interruption of flow) of the puppy, or contrarily, too much stimulation (also interruption of flow) and this has caused the puppy to weight the pressure over the pleasure. At any rate, have the toy on a cord of some sort so that you can increase the distance between the bite object (+) and the handler’s eyes (-) so it’s easier for the pup to stay focused on the toy. It’s an orientation from pressure that causes dogs to be mouthy or jumpy around strangers, whereas the pleasure principle immediately induces Temperament (Heart) as an auto-tuning/feedback dynamic so that the dog self-regulates in order to pull the stranger into him in order to give him pleasure. Pressure makes pushy, pleasure makes supple. Also a subtle distinction. Because I’m developing my dog’s capacity to bite the object of my choice as hard as he possibly can given his level of maturity, I therefore know that I never have to teach him a soft mouth. I don’t see my role as having to teach him to mouth me softly. Rather, when I’m squeezing and massaging his neck and he’s getting aroused and starts to grab my wrist or hand a little too hard, then I’ve gotten a reading on his emotional capacity at this level of his maturity. The reason I massage his neck and mock bite him there with my hand so that for a time we might engage like two dogs that are both molesting each other’s necks in sheer orgasmic play, (my wrist being a surrogate neck) is because this is the most sensual part of a dog’s anatomy and I want that region to become a primary point of reference when he’s in novel or stressful situations. Thus if I stroke or massage him there he can be calmed. Taken in conjunction with my recent post on how fast an infant’s heart rate slows and induces a calming effect, I feel that the sensual neck quickly softens the shoulders and triggers the physical memories of quickly becoming calm, from previous experiences as infant. Finally in regards to emotional capacity, which I think addresses another aspect to your question, the goal is for the dog to be able to push as hard as possible (at least up to one’s physical aptitude) without food and without a toy, without the dog feeling the urge to use its mouth. What one is developing is a supple body state which is then as strong as the prey instinct even under the most intense stimulation. I don’t think Ian Dunbar has ever said that a dog should never bite. He’s discussing that he should never bite down on a human. There’s even videos of him on You Tube that support my comment. A dog uses its mouth in place of hands, of course it has to bite, we just have to teach it what’s appropriate to bite. Thanks for your input. At that seminar circa 1985, Dunbar explicitly stated that canine teeth should never touch human flesh. He told of his Malemute having an epileptic seizure and even so, he repeated the no bite protocol on his way to the vets. It seems that since then he has amended his regime, but nonetheless my objection remains that one need not train a dog in bite inhibition. I’ve raised GSD of schutzhund stock, selectively bred for the love of the bite, and I never taught my puppies no bite , no jump, “leave it” etc.. They grew up to adapt their energy level to the object of their attraction and I didn’t give them free rein until they had developed that capacity. 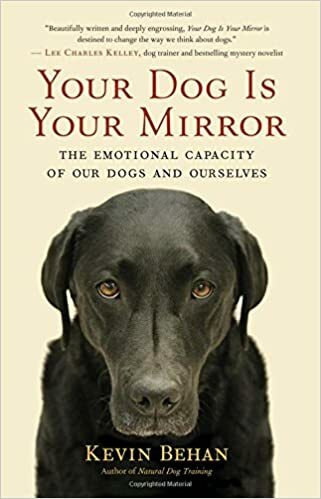 I believe all this insistence on early imprinting, and for which Dunbar is the greatest voice within Dogdom, is creating a very deep seated emotional block, precisely because as you note dogs use their mouth in place of hands. My theory is that dogs actually apprehend things first and foremost as a function of either a soft or a tight mouth. When a dog’s jaws are tense, they perceive a stimulus as intense and they trend toward the emotional load/overload modality. Whereas when a dog’s jaws are soft, the perceive a stimulus as emotionally absorbing and they are inspired to align and synchronize with it. Let’s hope that Dunbar soon also recognizes the fallout of his “socialize, socialize, socialize early and often” mantra before too many more pups get imprinted with the traumatic stress of forced “socialization” before they have the capacity to process such intensity.